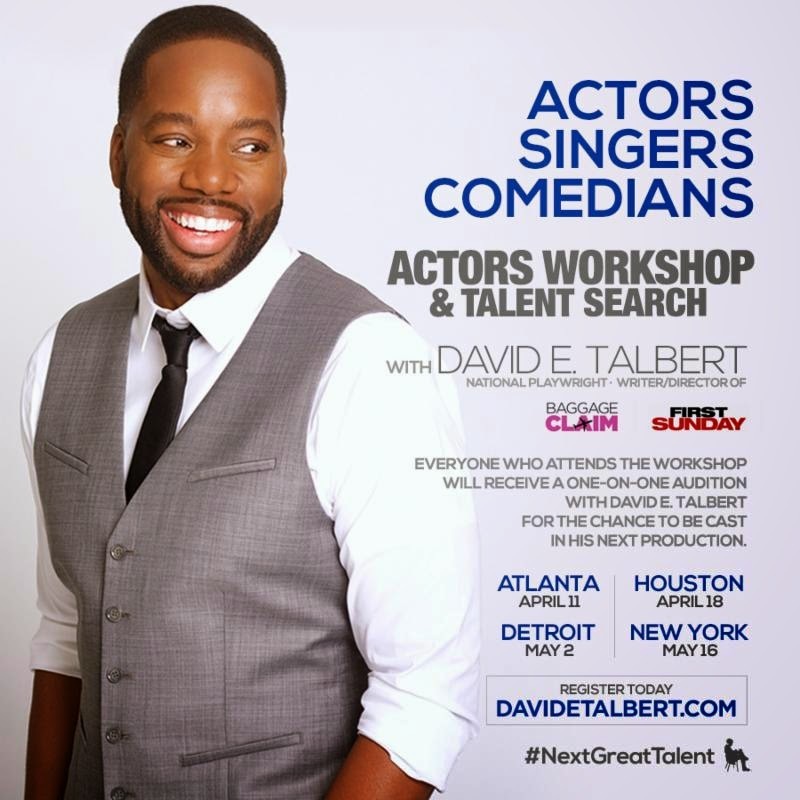 DAVID E. TALBERT, National Playwright and Writer/Director of Baggage Claim and First Sunday, is looking for talented Actors, Singers & Comedians. Those that attend the ACTORS WORKSHOP in Atlanta [April 11], Houston [April 18], Detroit [May 2] or New York [May 16] will receive a one-on-one audition with DAVID E. TALBERT for the chance to be cast in his next production. To register, go to www.DavidETalbert.com today! Spread the word!